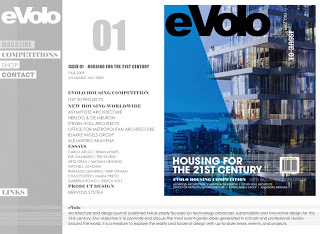 eVolo magazine is out: a biannual architecture and design journal focused on advances in technology, sustainability, and innovative design for the 21st century. The magazine’s objective is to promote and discuss the most innovative ideas generated in design schools around the world. The magazine is edited by Carlo Aiello. Entitled "Pavane for the Well-Tempered Typology" the introduction is written by Neri Oxman.